Praia Grande, about 40 minutes from Lisbon by car, is popular with surfers and kite surfers both: the smallest swell will bring good waves, the water is not as crowded as the more popular breaks north in Ericeira and south in Guincho. Praia Grande LIVE as if you were there! 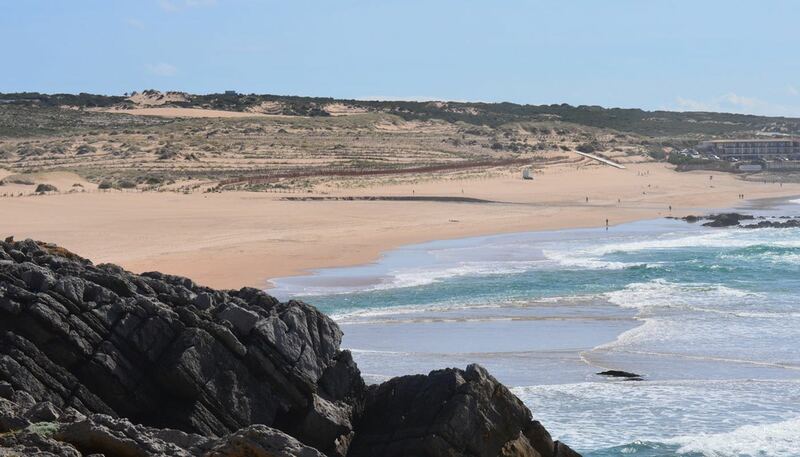 Watch stunning views of Praia Grande Beach Portugal, surfing conditions or kite surf in real time, waves and winds conditions from Live Beach cam. 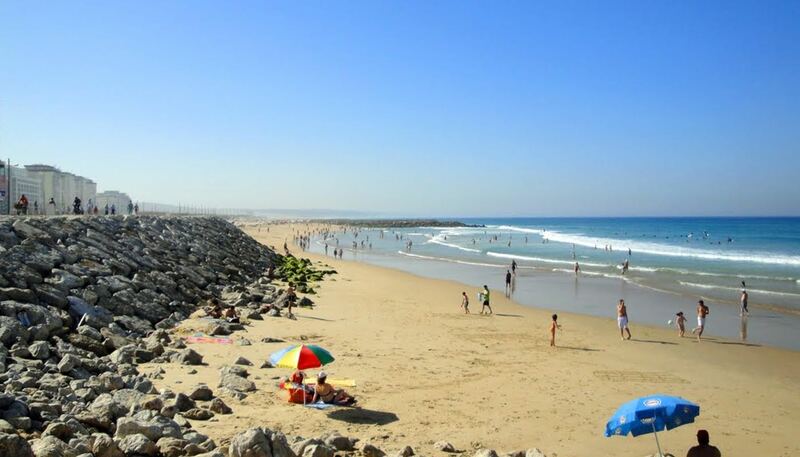 Praia Grande is particularly good for beginners – it’s a beach break with lefts and rights, and a sandy bottom with some rocks. 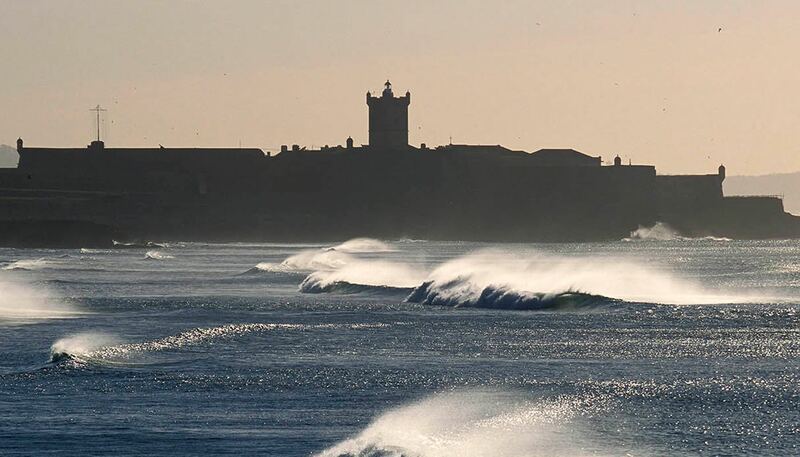 The waves hold up from 1 to 2 meters and are ridable at all tides – and unlike most surf spots in Portugal, the season here runs the entire year, with the slightest swells delivering enough power. Nearby Sintra offers some more romantic accommodations overlooking castles, palaces and the valleys falling away to the Atlantic. 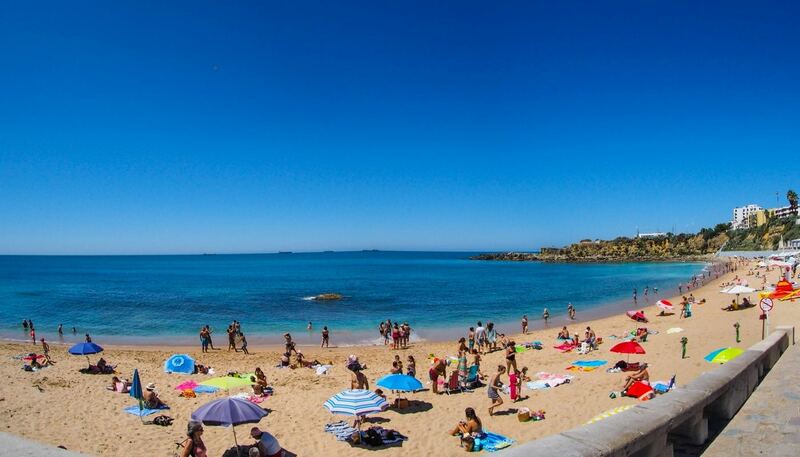 A little further, Cascais is the place to stay if you want a little rock n’ roll in your evenings, particularly in the summer – but it can feel very crowded. Several local surf schools run packages with room, board, board rental and instruction. There’s very scenic camping 20 minutes south at Camping Orbitur Guincho. If you’re coming from Lisbon (about 40 km away), take the A5 toward Cascais for about 25 km, and take exit 12 onto N9-1 toward Malveira/Ald.a Juso. Merge onto Estrada Malveira da Serra/N9-1 and go past 2 roundabouts (3.5 km), then take Rua de Cascais/N247-5 for 200 meters and take N247 for about 9 km. Make a left at Rua de Santo André and continue onto Estrada do Rodízio. After about 2.5 km, take a left on Av. Alfredo Coelho. You can also take a train from Lisbon’s Rossio train station to Sintra and take a taxi the rest of the way. Praia Grande is just 4 km from Sintra, a magical little corner of Portugal, with an impressive Moorish castle and the fantasy-land Palácio da Pena. 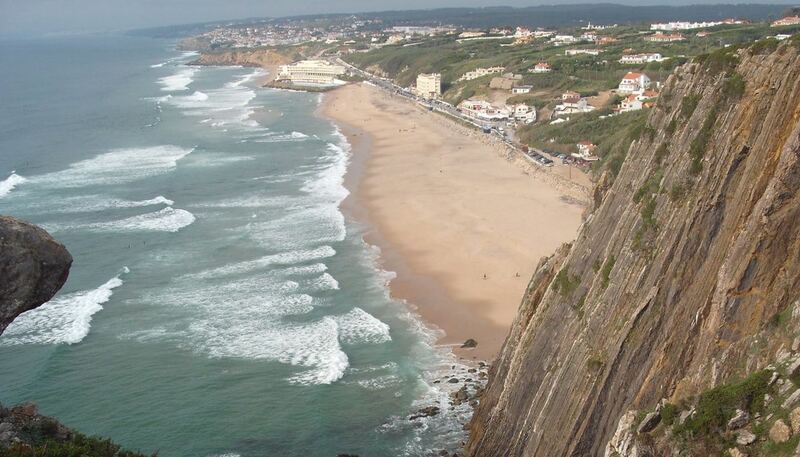 Sintra also has a few rock climbing routes, as well as markets, shops and tons of restaurants. For a more touristy good time, with plenty of international cuisine, clubs, and showing off, the town of Cascais is 22 km away.